Sydney Shop Girl: Old School Skincare Is Comforting In the Face Of New World Upheavals. Old School Skincare Is Comforting In the Face Of New World Upheavals. Skincare these days could almost be a separate scientific discipline. It has its own vaguely scientific terminology. It has its own laws of physics and chemistry usually involving animated diagrams of molecules traversing the skin surface with purpose as they victoriously plump up the area of the model that is meant to represent skin. To me, waking up in the morning and washing my face heralds a fresh start to a new day and a sense that all is well with the world. Especially when the nightly news tells you otherwise with its graphic footage of what life is like for hundreds of thousands of people in other parts of the world who have had their routines violently removed from them. I know that this is what's happening right now in the world and that we should all be informed world citizens, but that doesn't make it any easier to watch. Washing my face at night before bed signals a shift in gears. That it's time to settle down for the evening now that the last remnants of the day that was have now left my face. In my little corner of the peaceful western world (unless you count political party factional infighting), comfort, routine and a freshly cleansed face are only a humble face washer away. 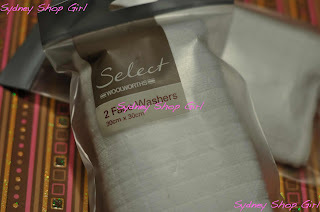 Face washers from Woolworths soaked in hot water to be precise. Our grandmothers knew what they were doing when all they needed to care for their skin was a face washer and some mild soap. It's a simple routine and it works. The rough side of the washer is good for a gentle exfoliation whilst just resting the smoother side over your face in the shower produces a pretty deep cleanse. It's so efficient, I don't use a make up remover before stepping into the shower - the water and the washer do it all. I get my face washers from Woolworths. The photo I've used above sf of the Woolworths Face Washer version 2.0. They're bigger and softer than the original kind. And still at the very nice price of $2 a pair. Another age old concept I've rediscovered is toner. I gave it up for many years (mostly due to laziness) before starting to use it again a few months ago. 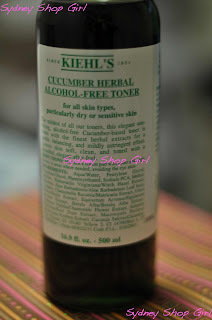 I'm now onto my second bottle of Kiehl's Cucumber Herbal Alcohol Free Toner. It's a value sized 500 ml bottle that will last me the better part of the next 6 months Lo and behold, a product that actually does what the label claims - it does remove those final traces of makeup as well as softening the skin. Cotton wool balls tend to bounce around the bathroom cabinet. Who has time to chase runaway cotton balls across the bathroom floor? Which is why I prefer cotton pads. They stay where you put them. They have to be Johnson's though because that brand with the purple label tends to leave a trail of stubborn cotton wool fibres across my face. That I can never completely remove. I know I love routine. However, even I'm getting bored of my outfits of recent days.. and weeks. Chinos, a white T and a cardigan. Get home and change into PJs then running clothes the next morning. And repeat until Friday. 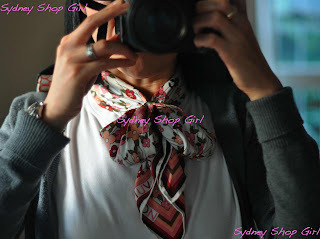 Cardigan - cotton on, T - Target, scarf - Louis Vuitton, scarf ring - Mai Tai's medium sized ring. Three cheers for scarves and scarf rings! 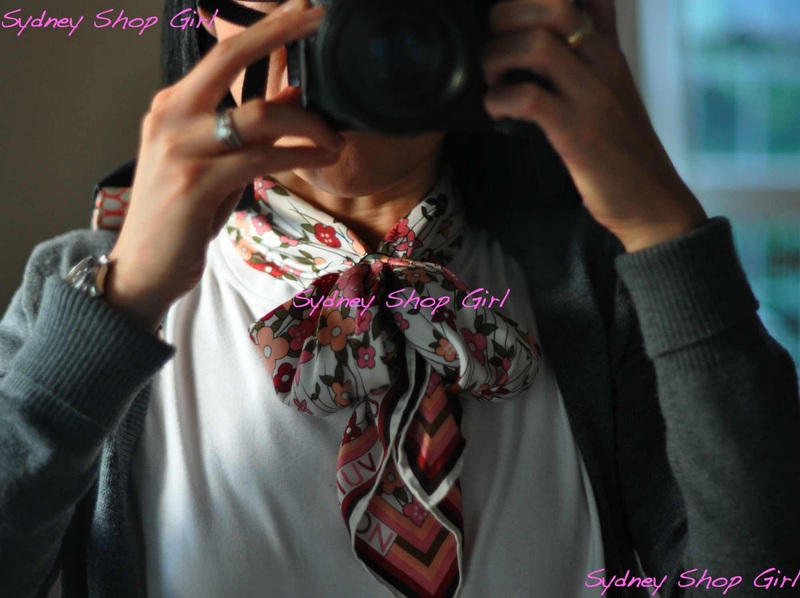 A scarf tied in a bow, worn with a cardigan. Just the outfit for a day spent sipping hot tea to keep warm. Just remembered. You need to get yourself this months Womens Weekly - they have a whole menu designed for a Royal Wedding sit in. It even includes Coronation Chicken....! I love how my facial routine makes me relax in the evening and helps me wake up in the morning. I do use products from md formulations, but try to keep them down to a minimum. 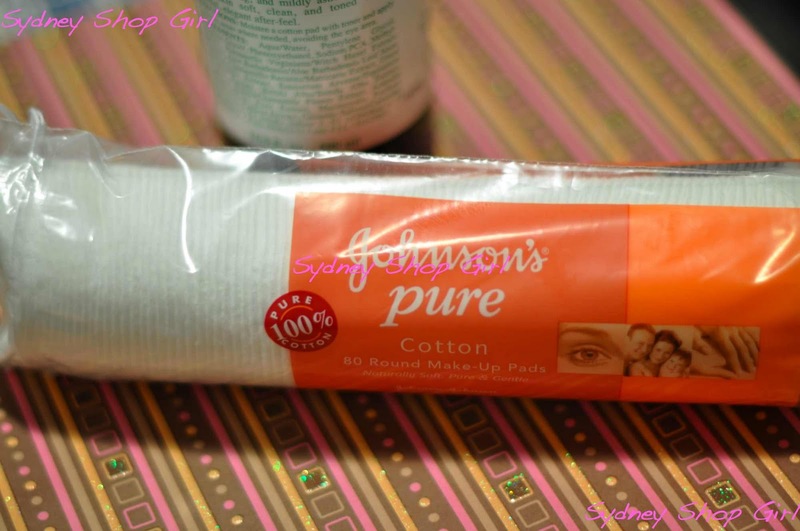 And I prefer cotton pads to cotton balls any time! Have a great day! AFW: thanks for the heads up re the AWW. I'll be off to get my copy this week. Cheers for scarves and rings...and who doesn't love a great skin tonic! great post..i need to try those rounds because I have the ones that leave that horrid fuzz all over your face, me thinks that isn't helping with the fresh face feel, lmao.